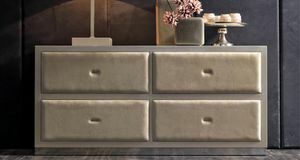 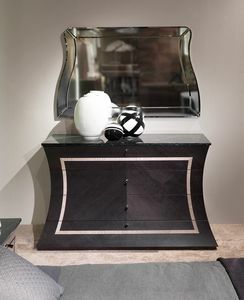 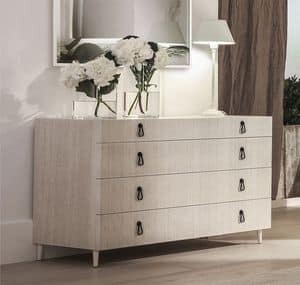 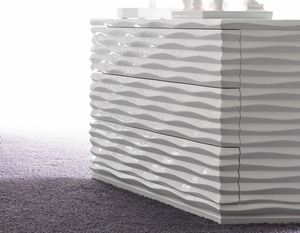 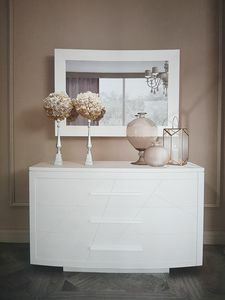 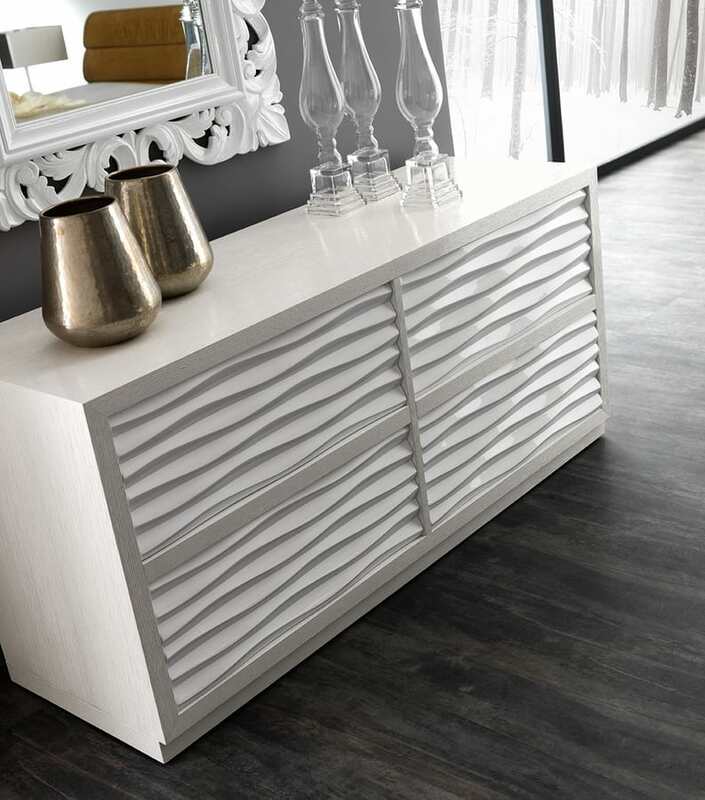 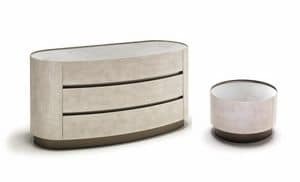 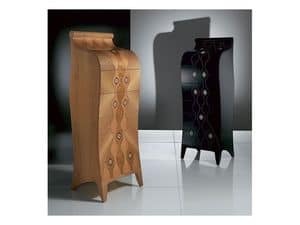 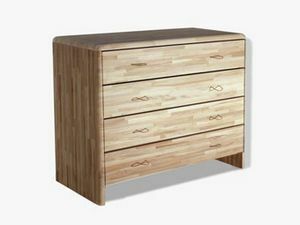 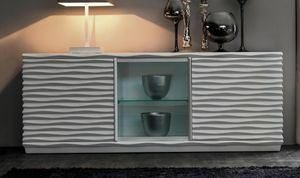 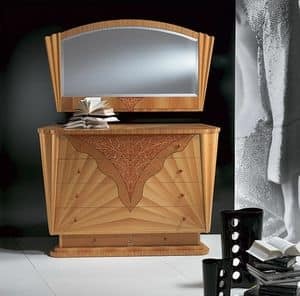 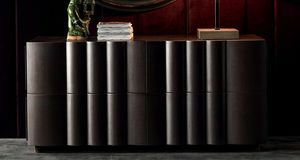 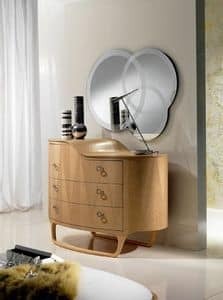 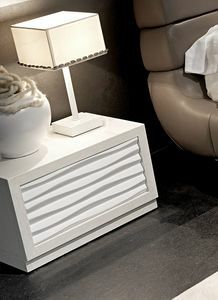 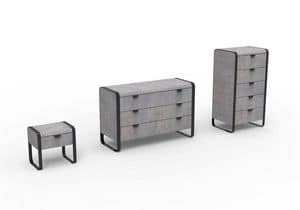 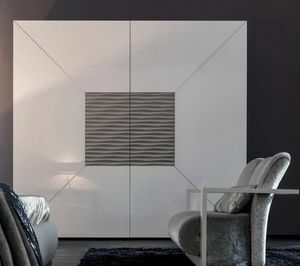 Modern-contemporary chest of drawers, with squared structure and precious wooden carved wavy design fronts. 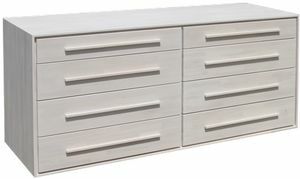 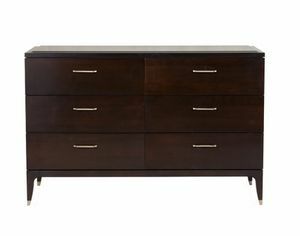 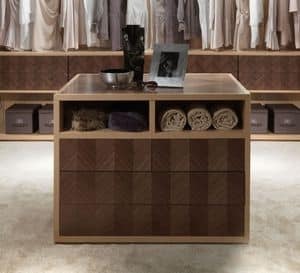 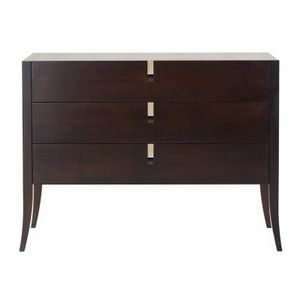 The chest is composed of 4 drawers with soft-touch closing. 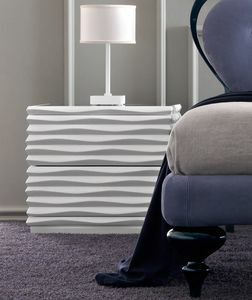 Ebon is an isolated atoll in the Ocean, scattered of waved sandy shores, like the surface of this collection: a perfect balance of technique and beauty. 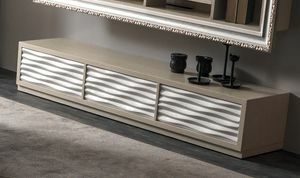 Pure shapes, perfect lines, model "items" usefull for our daily life, but also necessary to make our life beautiful. 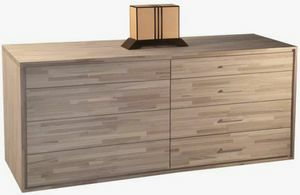 Poplar blockboard structure with MDF veneer or plywood structure with 10/10 oak veneer. 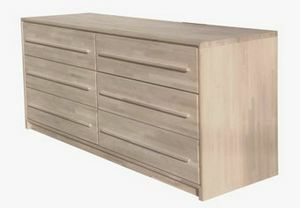 Solid toulipier fronts and sides. 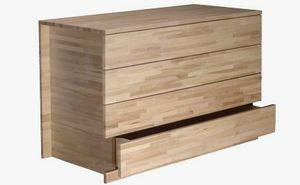 Birch plywood drawers.